This Kappa LA lever-arm testing machine maintains constant load application via the gravity force of the deadweights and the lever arm (patent applied for). Wear-free flexible joints provide high-quality lever-arm mounting and ensure Class 1 measurement accuracy in a measurement range from 1 to 100% of nominal force as per ISO 7500-2. No friction, no wear and constant force application. Maximum precision, maximum reliability and long service life. 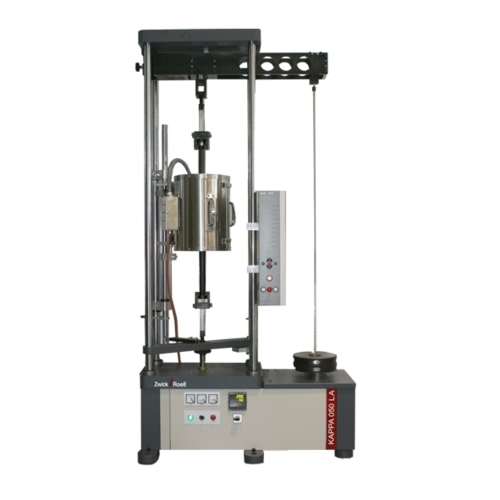 Controlled lead-screw drive maintains the lever-arm in a horizontal position during the test. Axiality compensating links in the load axis. 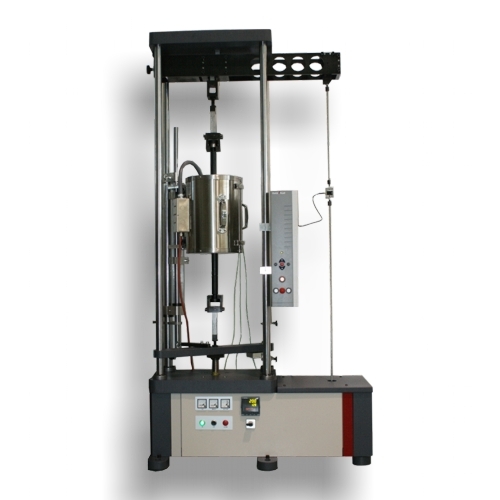 This Kappa LA lever-arm testing machine maintains constant load application via a pre-tensioned spring and the lever-arm mounting (patent applied for). Wear-free flexible joints provide high-quality lever-arm mounting and ensure Class 1 measurement accuracy in a measurement range from 1 – 100% of nominal force as per ISO 7500-2, while eliminating ‘knife-edge’ problems during the entire service life of the machine. Precise load and strain control.